Safety performance is driven by the leadership of the organization. Leaders establish values, develop procedures, and enforce accountability for their safety programs. Put another way, safety leaders set the standards of safe behavior within their companies. We would obviously expect a safety leader to be someone who exhibits high SafetyDNA®, but leadership is more than just managing one’s own safety behaviors. A true safety leader also motivates his or her coworkers to strive for minimal risk exposure. First, I will discuss exactly what we mean by safety leadership and the actions performed by the employees who fill this role. Safety leadership is defined as the process of interaction between leaders and followers, through which leaders can exert their influence on followers to achieve organizational safety goals. The feature of this definition that most often confuses people is the concept of leaders and followers. 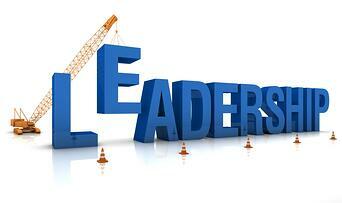 Too often, the terms ‘leadership’ and ‘management’ are used interchangeably. The problem here is that many do not recognize the critical differences between these roles and the vital functions of each in building strong safety performance. Specifically, managers exist as part of the organization’s structural hierarchy and exert formal influence over their subordinates, while leadership is a voluntary activity by which an individual exerts social influence over coworkers by setting an example of appropriate behavior to elicit shared goals and effect positive change in the organization. Certainly one individual can be both a manager and a leader, but this only occurs through conscious effort to effectively perform both roles. Although these represent important objectives of a safety program, they are presented under the assumption that safety leadership and management comprise the same individuals, and only briefly mention the leadership-management distinction. It is quite interesting to find OSHA making this conceptual mistake, given their consistent track record of producing quality, research-based materials. Now that we have clarified this distinction, it should be evident that any individual in the organization can be a safety leader if they so choose to be. I cannot emphasize this point enough because it is crucial for organizations to have safety leaders at every job site, every department, every work team, etc. across levels of the structural hierarchy if they want to create a strong safety culture that leads to improved safety performance. In fact, senior management may not be the most knowledgeable about the present dangers of a particular job. Thus, management should impress on their workforce that a safety leader is anyone who cares enough about the organization to take the actions that will keep themselves and others free from danger or injury through guidance, persuasion, direction, and setting the example. Safety leaders do not influence others through power, status, or authority; they demonstrate high SafetyDNA and inspire their co-workers to do the same through their actions. Although this may appear to be a burdensome obligation that some employees may shy away from, they must realize that safety leaders take on no greater share of the responsibility than their coworkers. The main difference is that safety leaders are more cognizant of their environments and throughout the day are more likely to take the correct and safest actions based on training and experience to be as safe as possible. Management should support the decisions made by safety leaders and empower them to guide others to strong safety performance.